There is more than one type of diabetes. They may vary in severity and duration, but every type of diabetes involves abnormally high blood sugar levels. If left unchecked, diabetes mellitus can lead to loss of limb and even loss of life. If a person shows signs and symptoms of diabetes, it is imperative that they be tested. Fortunately, the diabetes testing process has been streamlined by the introduction of highly sensitive enzyme-linked immunosorbent assay, or ELISA tests. When compared to alternative methods of detection, ELISA diabetes tests rank quite favorably. 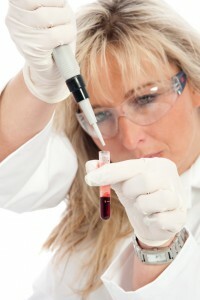 Human Insulin ELISA Test Kit requires a small volume of 50μL sample. With a detection range of 0-300 ulU/ml, this test can provide accurate results in around two hours. Human C-peptide ELISA Test Kit requires a 25ul sample and gives dependable results in approximately 135 minutes. C-Peptide tends to be a steadier indicator than rapidly fluctuating insulin levels. Human Leptin ELISA Test Kit requires a 10ul sample. Intended for in vitro diagnostic use, this test offers reliable results in about 90 minutes. ELISA diabetes testing provides accurate and quantitative determination of diabetes indicators in serum .Testing is a crucial part of diabetes care but is not intended to replace an honest doctor-patient relationship. To know more, contact Diagnostic Automation / Cortez Diagnostics, Inc. by calling (818) 591-3030.